At age five, my eldest daughter has very distinct likes (and dislikes). 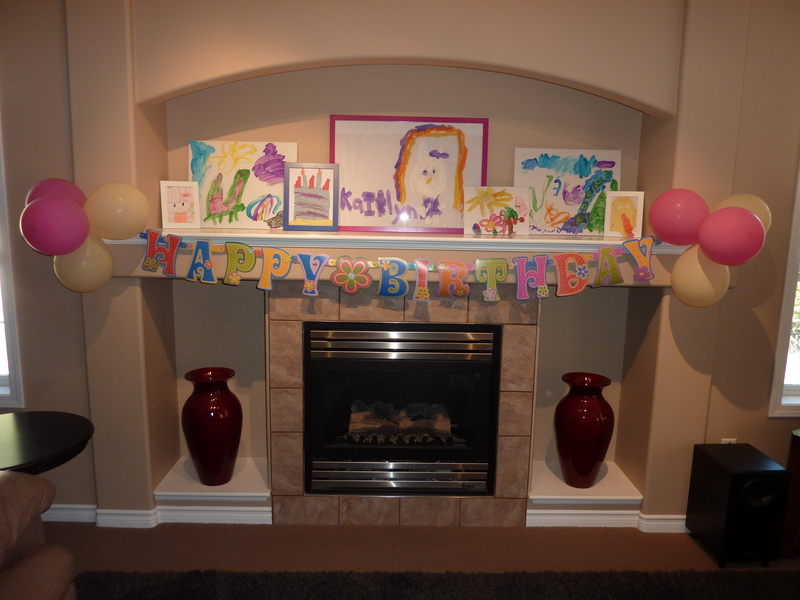 This year I thought it would be fun to have a “few of my favourite things” birthday party. 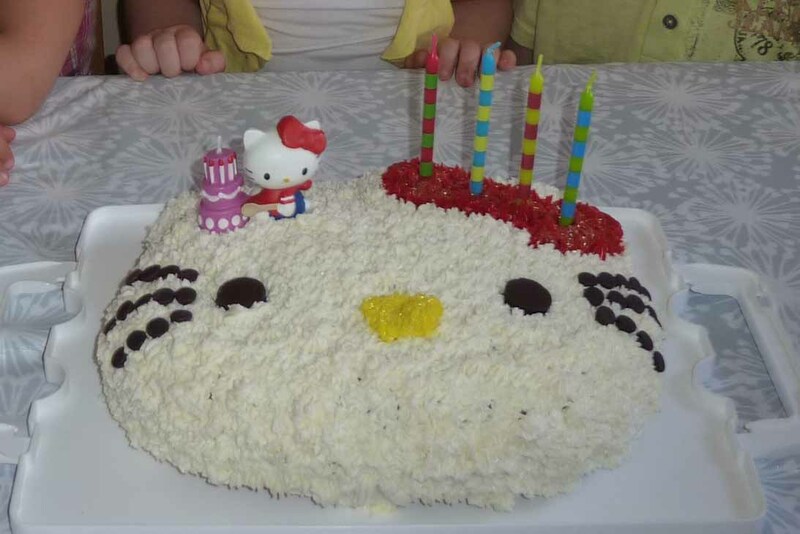 The party centered on three of her favourite things: the color yellow, Hello Kitty and crafts. We had a lot of guests for this party, so I decided to do both a cake and cupcakes. This was my first character cake that I had decorated. I had been a bit intimidated to try character cakes in the past, but this turned out to be very easy! I used Wilton’s butter cream icing (store bought icing is not stiff enough for piping stars), Hershey kisses for the eyes and chocolate chips for the whiskers. Hello Kitty has a sparkly nose and bow as my daughter requested disco dust to make her extra pretty. There was a craft table set up outside for the kids to do open ended art: construction paper, markers, scissors, pipe cleaner, popsicle sticks, glue, glitter, foam pieces, gel pens, glitter glue, stickers … beads and string … anything I could think of to include for the kids to use their imagination. In addition to the crafts, I also made sugar and gingerbread cookies (cut into the shapes of Hello Kitty’s head and flowers) that the kids could ice and decorate. Homemade play dough was also set up. The kids enjoyed the art centre a lot. This go around, we decorated the mantle with my daughter’s framed art. I am so proud of her creativity and wanted to show case some of our favourite pieces that she has created.